SCRAPiVERSE: At the Dina Wakley class! I'm at the Encaustic Tag Book Class, taught by Dina Wakley, this morning! Why didn't you sign up?! 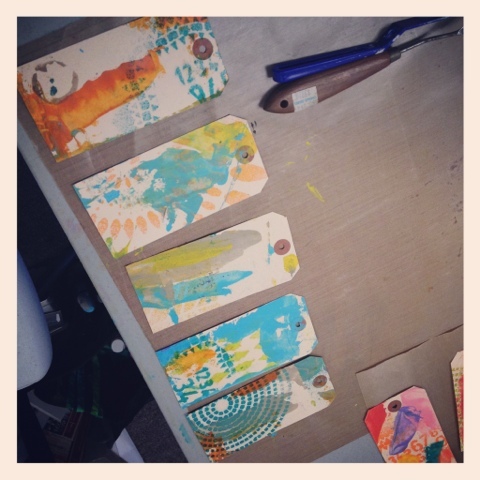 Here's a shot of my tags- in progress! Really, having the greatest time! loving this! I wish I had signed up! Is it online? Not that I have time but I would have tried to make an exception- have fun!